Listen to the riders talk about being back in Champery and how the race is shaping up! ^^^^pass that sh*t. I want whatever you got that makes this trail seem easy. o haha ok, my bad... still though...pass that sh*t.
The track looks gnarly. Should be a good race! How have you seen the track? Its pit chat. then you haven't seen the pic's yet,it's steep and gnarly as hell.Should be a awesome race with lot's of action. has Kovarik singed his facial hair? I don't understand what in the hell would possess someone to give someone negative props for asking "How have you seen the track?". WTF is wrong with you guys? He never said anything negative about the track. Reading comprehension anyone? whats up wth the tanks and the flat billed hats... were they playing dress up? I couldnt agree more. the huge flat brim hats bother me almost as much as skinny jeans..BUT at least the hats aren't womens clothing. I would give dirtydee 30 props by myself if I could. Damn kids and your rap music and your make out partys. hahah smoking their damn reefer and grind dancing. was it stupid hat day? and whats with tucking your ears in to your hat? hope nobody leaves in a helicopter. The course looks soo fun. Hill? 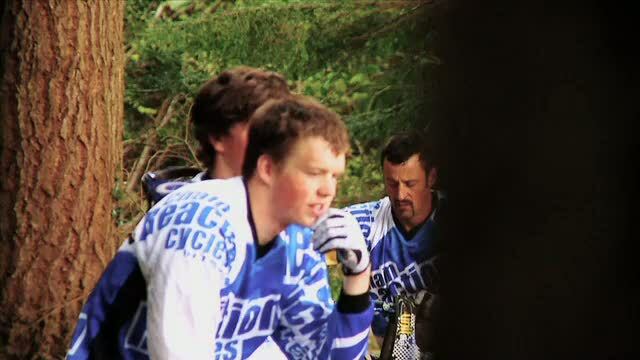 Injury at Fort William practising. shoulder - Rotator cuff injury. I haven't heard anything since it happened which was 5th june? fair old while ago now. not likely - I give it another year. are u talking to me?? ?